DOWNLOAD: Savage Generation - "N8tive Up"
This killer new track is from Savage Generation and features K9. 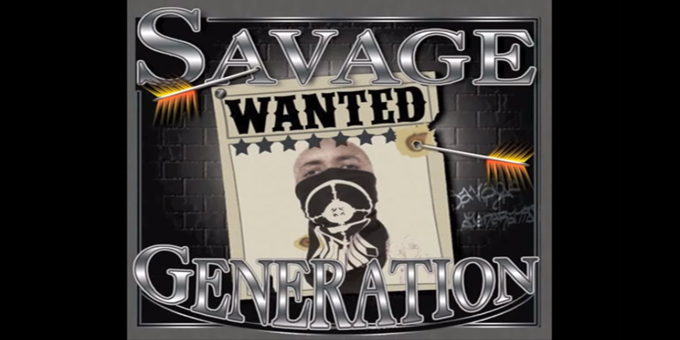 Savage Generation is the collaborative project of KASP (from the award winning hip-hop group 7th Generation), the conscious hip-hop collective of Savage Family and HGS (Higher Grounds of Struggle). They are currently creating an album together that touches on the issues faced by Indigenous people. This track N8tive Up, their second single, features an MC from Chicago named K9 who brings a new style of hip-hop to the collective and continues the growth of this movement.